Company formation in Italy can be daunting if you do not know the right steps to take to firstly find a company with which you are going to incorporate, can trust and is competitively priced for your budget. Ultimately you will also need to find an accountant who will help guide you through the “red tape” of administration and bureaucracy that you will find in plentiful supply in Italy. Companies In Italy can provide you with a complete package of company formation services that will include everything you require to get your business up and running in the shortest space of time. Our wealth of experience and extensive international client base ensures that we understand the demands of setting up a company in Italy if you do not speak Italian, have no prior knowledge of the country and are time sensitive. We will do everything for you so that when you do come to Italy all your meetings will be arranged in a logical sequence and we will accompany you to each of these meetings so that you will clearly understand the procedures and you won’t waste time. Most of the meetings can be arranged for you in a day so that you will only need 24 hours to meet with the bank, notary, accountant and lawyer for your new Italian company, subsidiary, branch or trust. Once you have decided to incorporate your Italian market with Companies In Italy, we will totally manage the full incorporation procedure on your behalf. Companies In Italy will manage this whole process from beginning to end. The only documents you will have to provide us with are your passport and proof of address to start your company formation! Additionally, we will organize all the meetings for you and you will only need 24 hours in Italy if coming from abroad to meet with notaries, lawyers, accountants and banks so you save time as well as money. In some cases, we can organize this for you remotely so you do not have to travel – please call us on +390287393909 to review your specific situation. 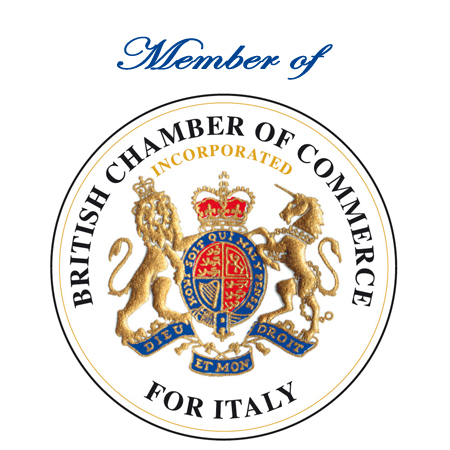 Companies in Europe Ltd (Italia) are here to help you save time and money that can be effectively used to expand and develop your business interests effectively and efficiently! Contact us now to receive your FREE quote. What are the main features of an SRL? One director is required for a Srl. It is, however, best to have a minimum of two shareholders otherwise if using just one shareholder only, the company will have to have the words 'Società Uninominale' in its title and liability will be deemed to be unlimited. A branch is a local office of the mother company*, with its own local VAT number. This is quite effective for establishing a small local presence or employing local staff when the major production is outside Italy. In Italy a representative office is known as “Ufficio di Rappresentanza”. As with international rules, a representative office is strictly prohibited from trading, including sending invoices, receiving payments from customers, and paying providers. Setting up an Italian representative office is advantageous for establishing a presence in the country and forming good relationships with consumers, providers and contacts. This is especially beneficial in Italy where personal relationships are an important part of the business culture. A representative office is also the cheapest form of business entity to incorporate and is easy to manage, with exemption from taxes and VAT administration. In Italy there are two company numbers: the first is called a “Codice Fiscale“and is provided by the Tax Agency. Even if you are exempt from taxes such as with a representative office, a “Codice Fiscale“is required for both the director of the foreign company and the representative office. The second number is provided by the Chamber of Commerce and in order to obtain it an annual tax payment is required. Representative offices require a registered address in Italy. This can be achieved by renting either a serviced office or a virtual office. A sole trader is a popular type of company to incorporate in Italy as it is relatively cheap and straightforward. Unlike an Italian limited company (S.R.L.) and Italian joint stock company (S.P.A.), the incorporation of a sole trader does not require a notary public. The process occurs directly at the Chamber of Commerce, and is consequently a much cheaper option. The name of your Italian sole trader is made up of two parts. This includes a name chosen by the owner, which is then added to the end of the owner’s actual name as a suffix. This is required by law to highlight the owner as the individual holding liability for the company. The advantages of a sole trader include a simple registration procedure, more manageable accountancy, and personal expenses from your bank account. However, there is one considerable disadvantage; sole traders have unlimited liability, meaning that the responsibility of failure falls completely to you, and creditors can even use personal wealth outside of Italy to pay off significant debts. A sole trader also lacks the prestige of a limited liability company. Incorporating a sole trader in Italy is a good way to test the local markets. If you want to ‘upgrade’ to a limited company in the future it is possible to dissolve the sole trader and move all the assets to the new limited company. However, this does require you to negotiate the longer and more expensive incorporation process of a limited company. In common law legal systems, a trust is a relationship whereby property (including real, tangible and intangible) is managed by one person (or persons, or organizations) for the benefit of another person. Please contact us today for further information relating to trusts in Italy and how we can assist you. A holding is a firm or company that owns other companies outstanding stock. In most cases it refers to a company which does not produce goods or services itself, usually its only purpose is to own the shares of the other companies. The advantage of a holding company is that it reduces the risk for the owners and can allow the ownership and control of several different companies.